BOL4 has released their track list! The duo will comeback with mini album ‘사춘기집Ⅰ 꽃기운‘ on the 2nd of April. The girls will comeback with a Spring concept. The mini album contains a total of five tracks. The title of the mini album is ‘나만, 봄‘ (literal translation “Only Me, Spring”). 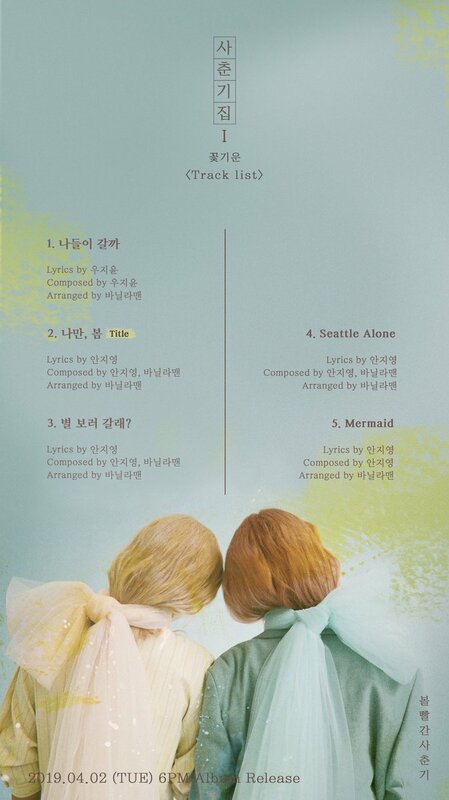 The track list image shows Jiyeong and Jiyoon with their backs to the camera. They are dressed in pastel colours and wear a large ribbon around their necks. The background is a light blue with greens creating a calming atmosphere befitting of BOL4. Are you excited about BOL4‘s comeback? Tell us in the comments below!